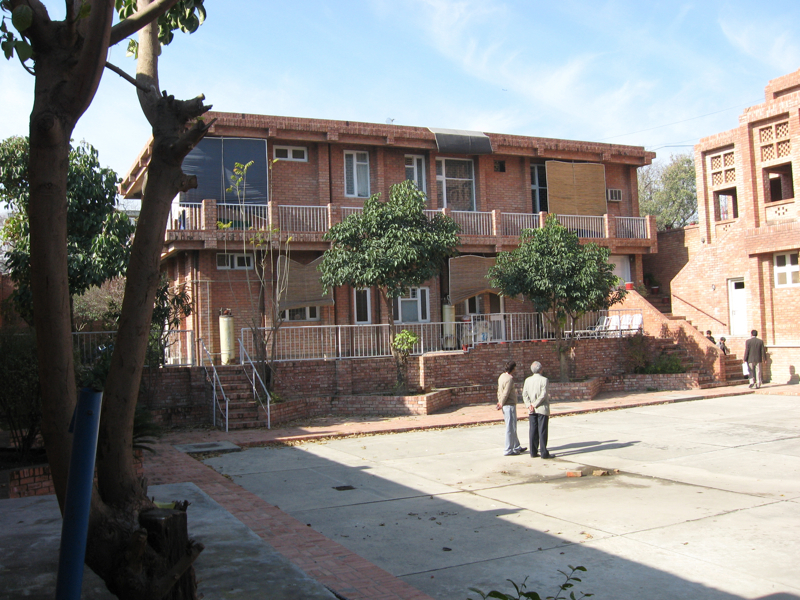 Islamabad is a modern grid-planned city, started in the 1960s. 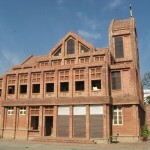 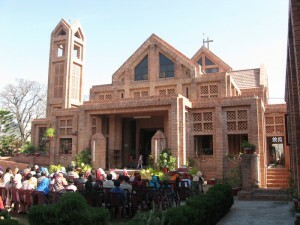 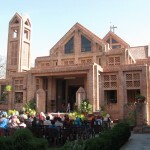 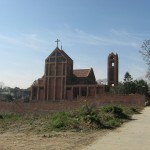 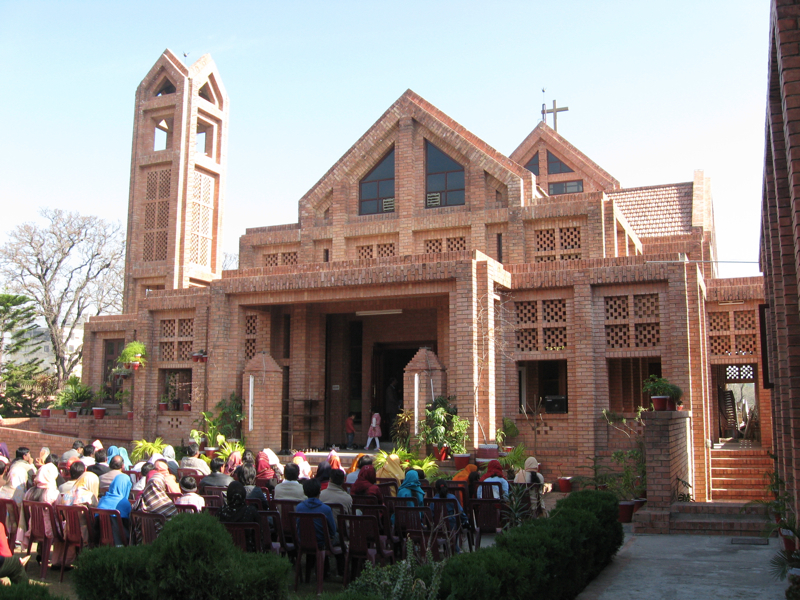 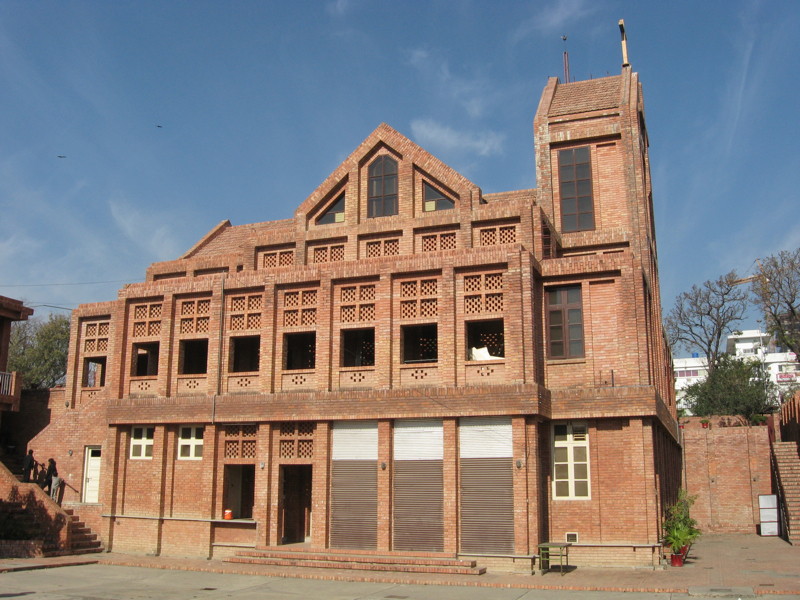 The initial assumption, particularly from the Pakistani part of the congregation, was that the new church of St Thomas should be Victorian Gothic, the style in which so many churches had been built by the British. 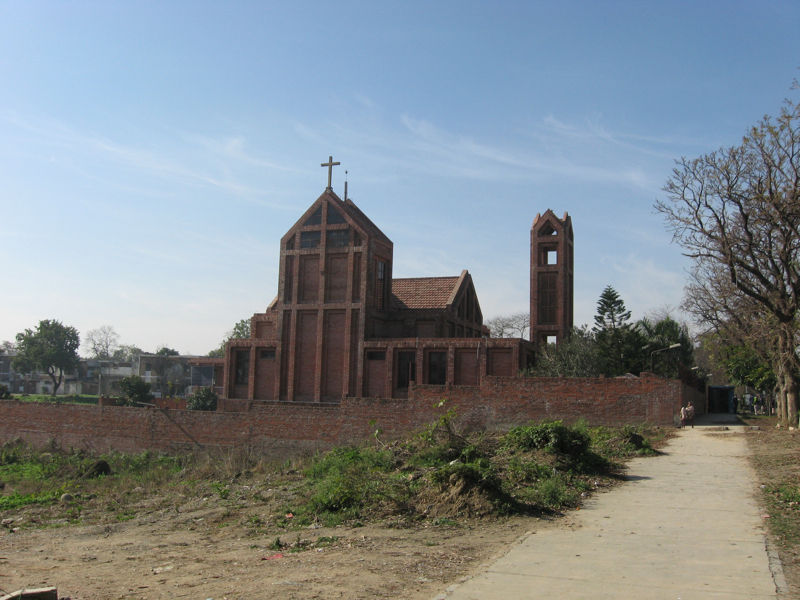 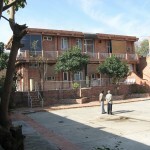 The final design is recognisably a church – it has for example a broadly cruciform plan – but the language of the building draws heavily on the Moghul tradition in its use of patterned brickwork, and attains a greater sense of rootedness in the dominant culture as a result. 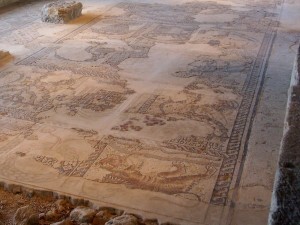 At the time of Jesus Sepphoris, which had been the capital of Gallilee, was a ruin. 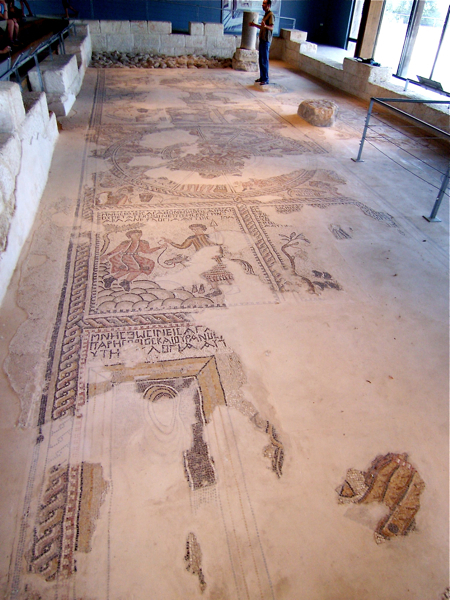 Herod Antipas set about rebuilding it from 3BC, and it is likely that this drew Joseph and his family to settle in nearby Nazareth – he was more ‘builder’ than ‘carpenter’. 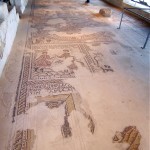 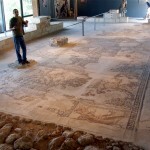 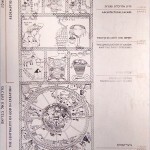 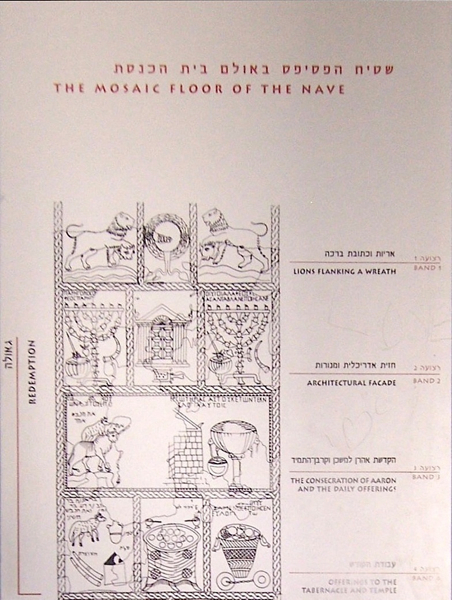 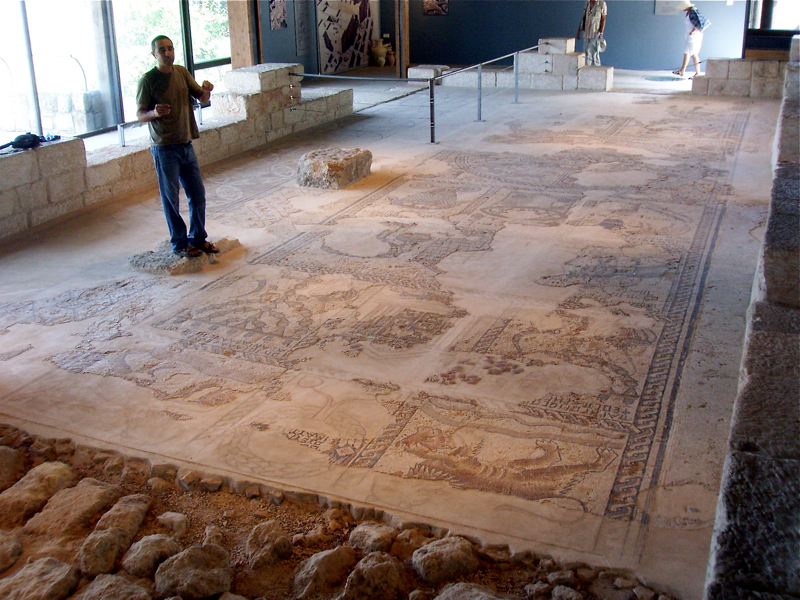 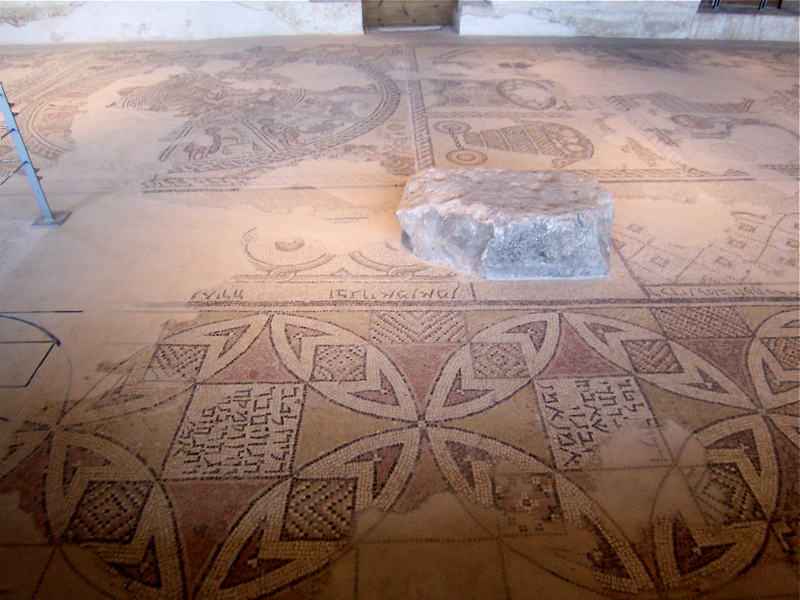 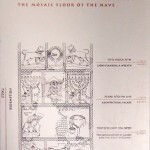 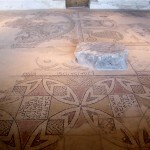 The synagogue dates from 6th-7th Century (not 3rd as stated in the book – apologies), and features a large mosaic floor in 7 panels, starting from Abraham and Sarah with the 3 visitors at Mamre, the Sacrifice of Isaac, and so on. 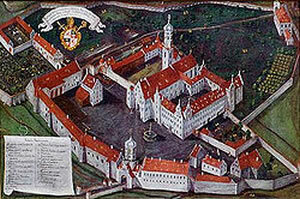 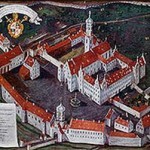 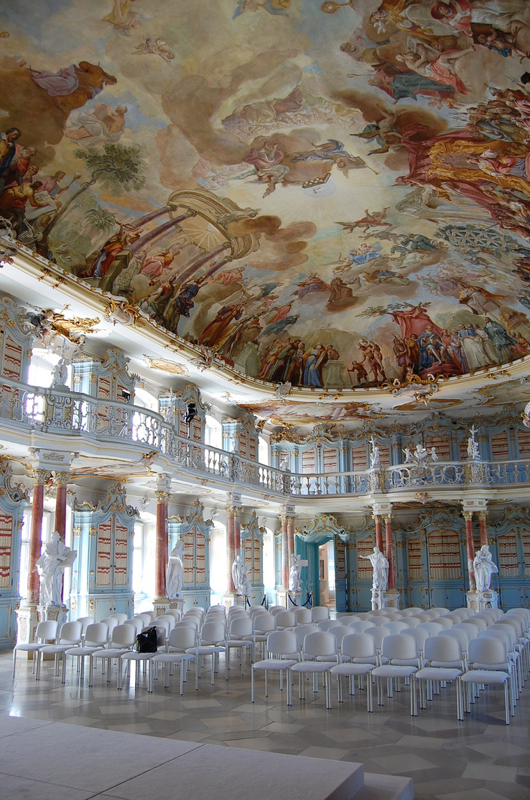 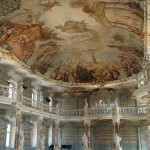 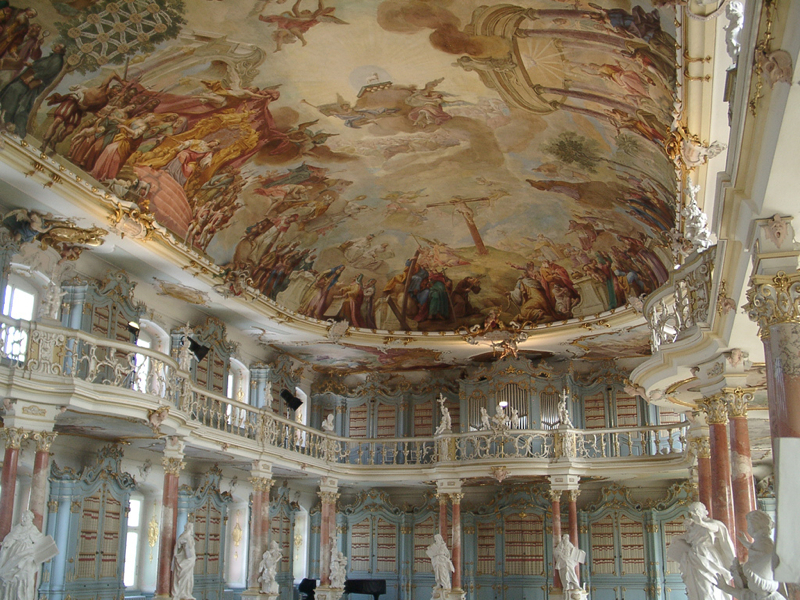 A fine example of Baroque Architecture, integrating painting, sculpture and rocaille to articulate an understanding of the world and salvation history. 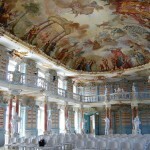 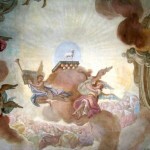 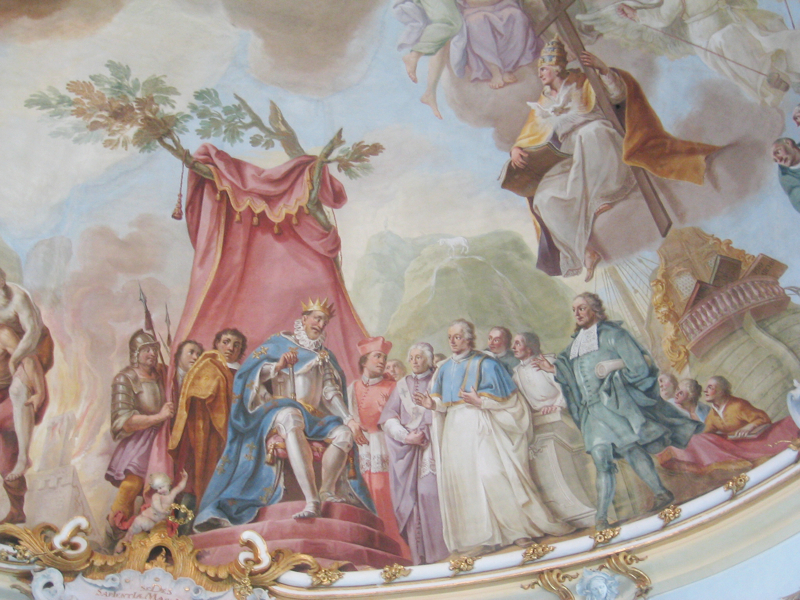 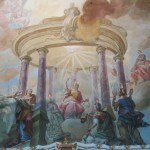 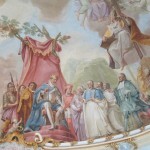 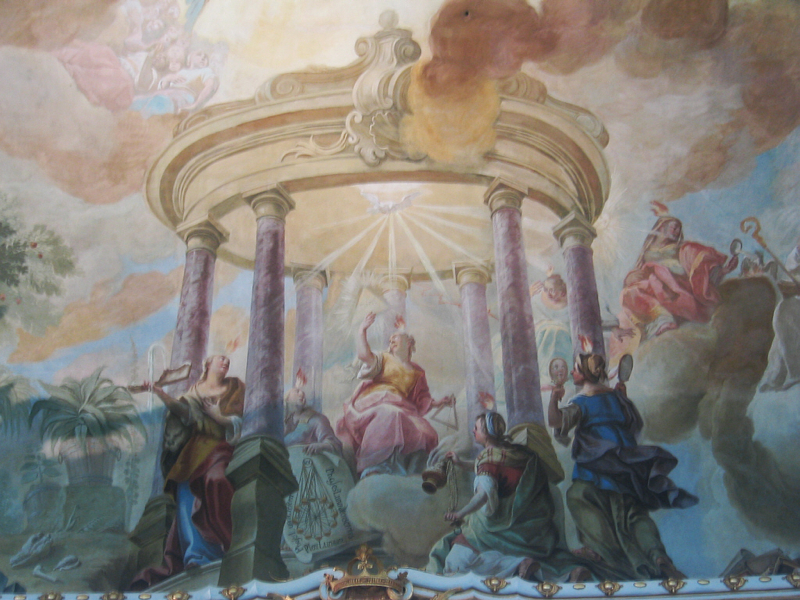 In this case, this is structured around wisdom, who is seen in her seven pillared temple, in Solomon’s judgement, in Mary as queen of heaven, culminating in the lamb of God in the centre of the ceiling fresco. 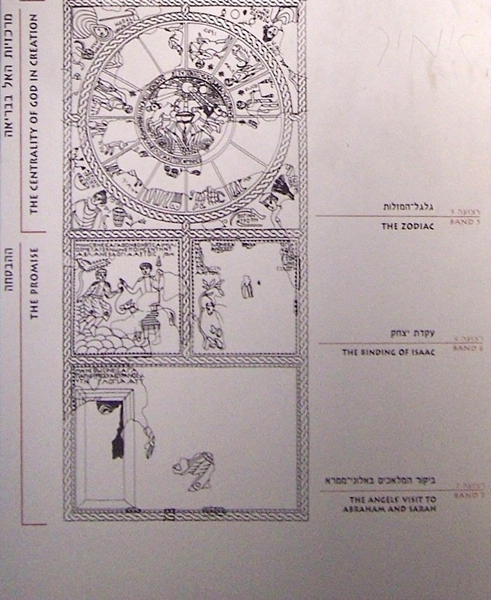 This is an architecture that not only tells you how you fit into an understanding of the world, but also how knowledge is structured. 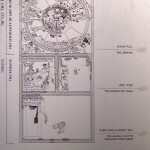 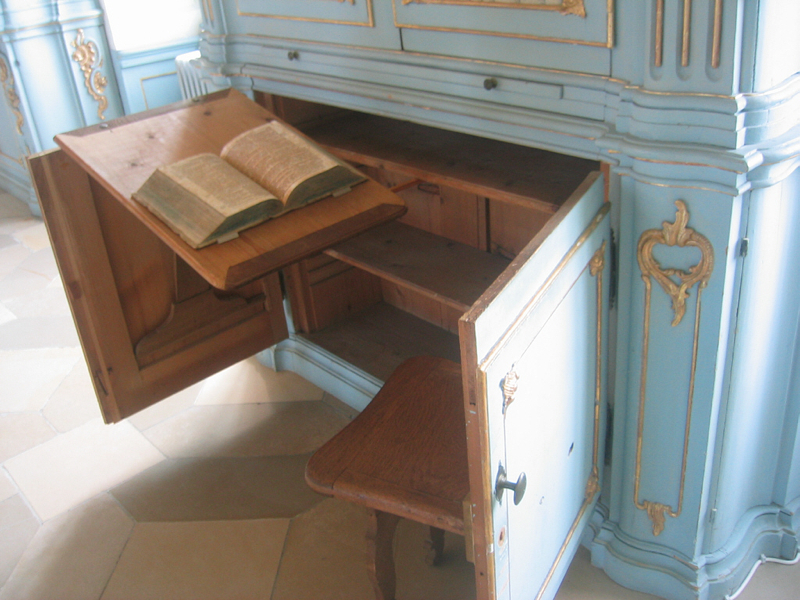 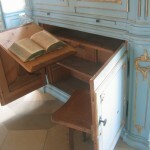 It is effectively a library catalogue, telling you where to find the different branches of knowledge. 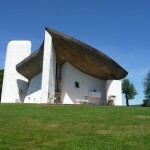 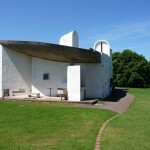 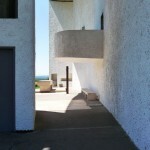 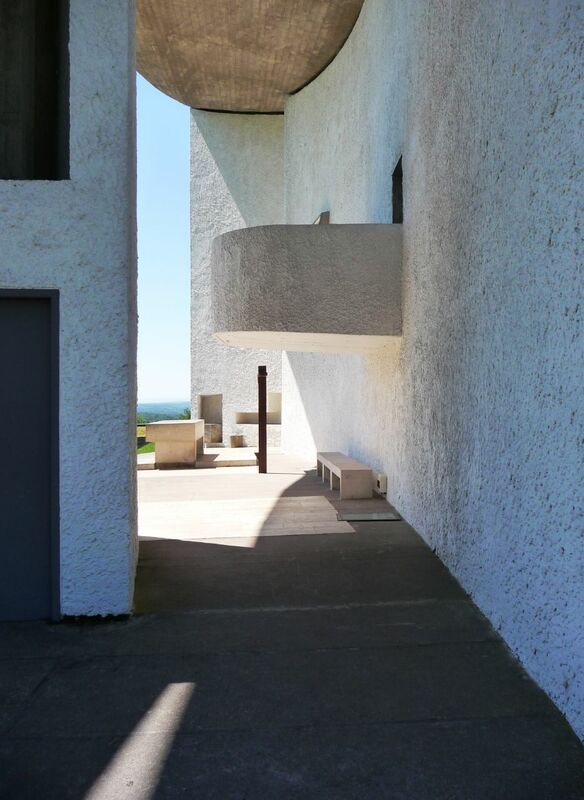 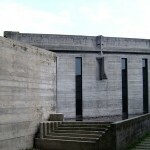 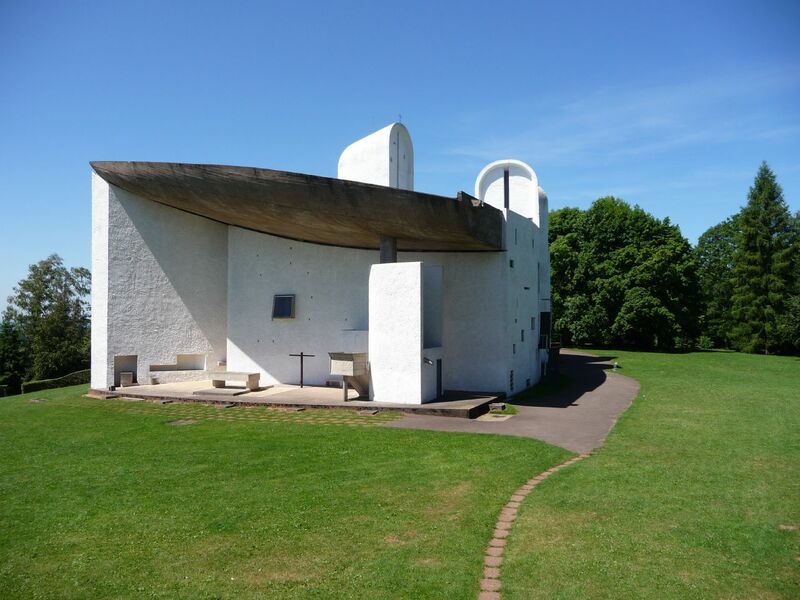 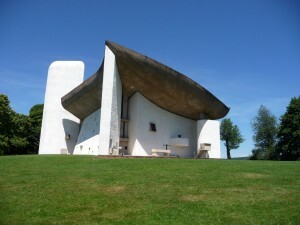 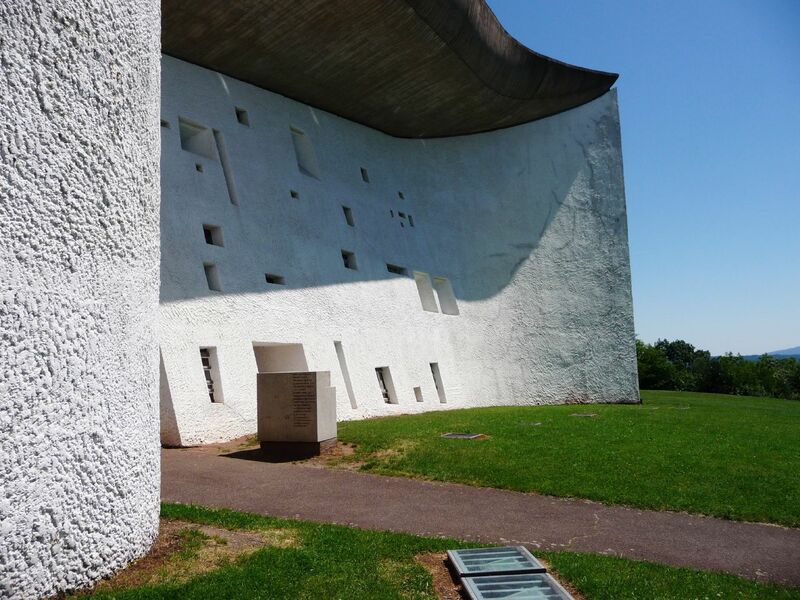 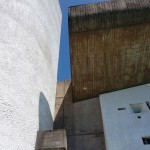 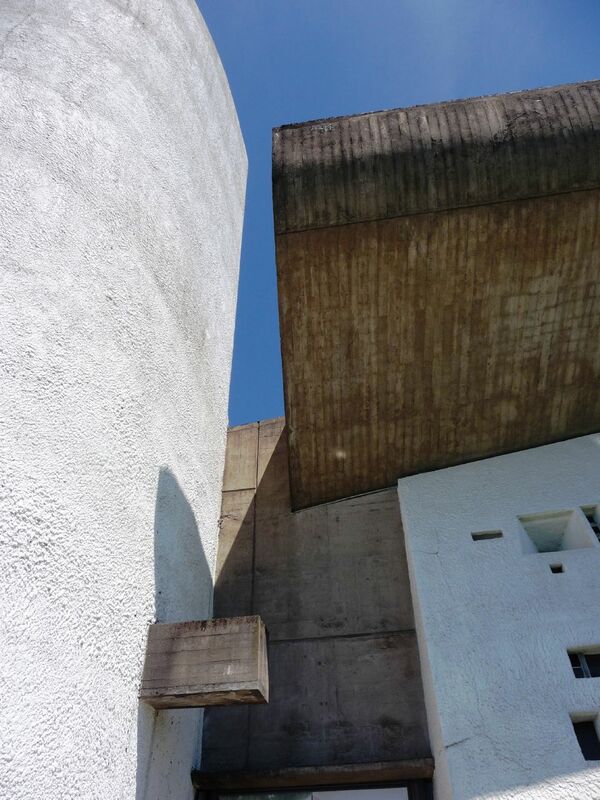 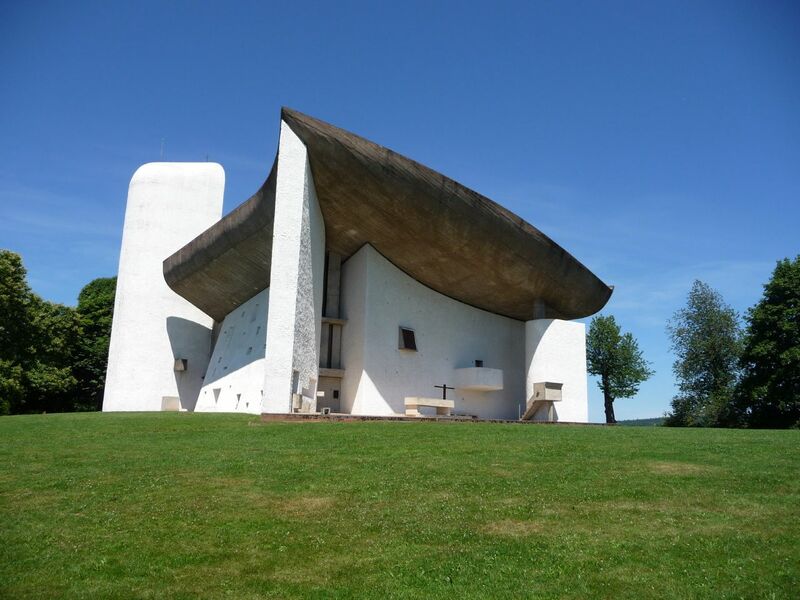 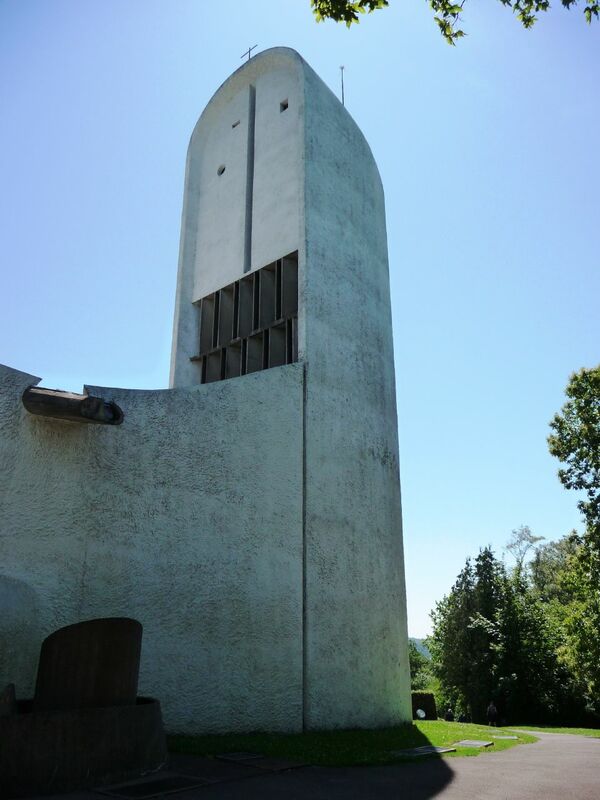 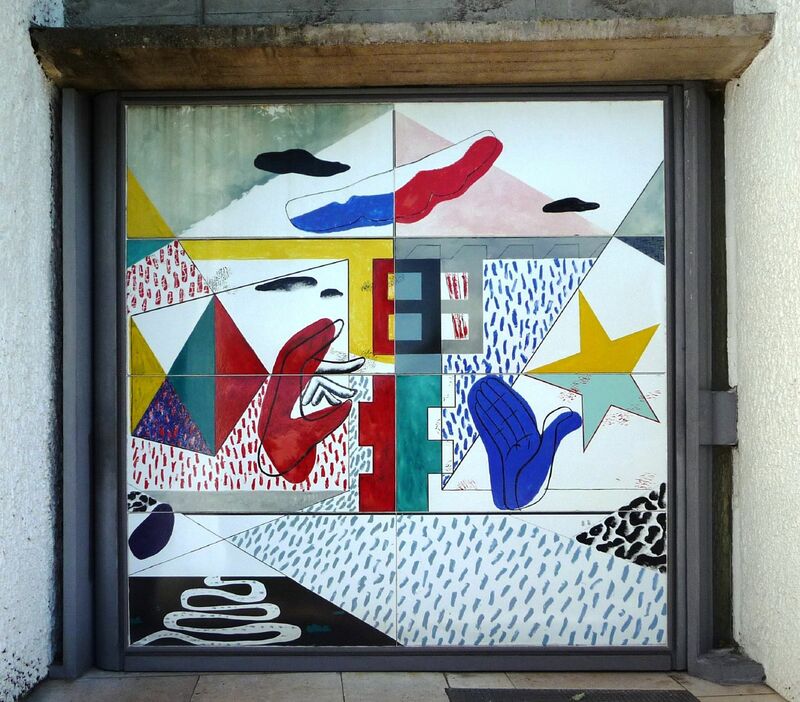 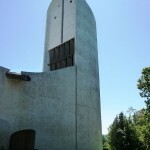 One modern example showing extensive engagement with the way in which the user experiences the building is the pilgrimage chapel at Ronchamp by Le Corbusier, completed in 1954. 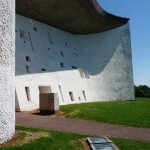 The building has a vast shell-like roof, and roughcast walls punctuated with irregular windows provide a sense of solidity and protection. 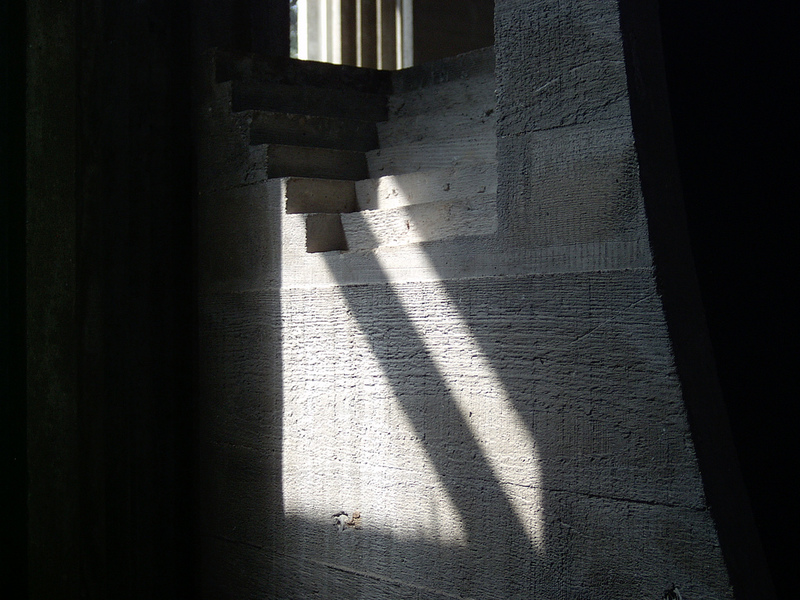 Here there is a play of openness and containment, of light and dark, of colour, of material. 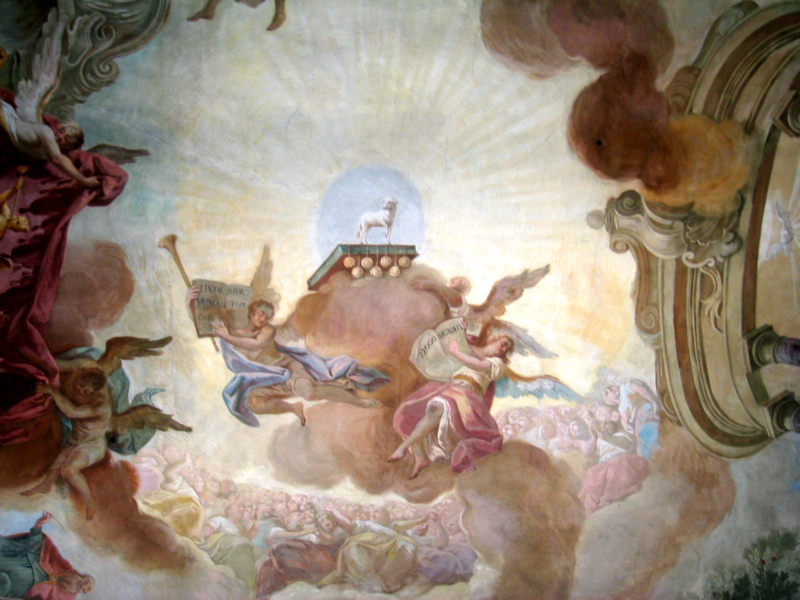 Above the plain altar is a window with the Madonna and Child in silhouette, which also serves the outside altar used during pilgrimages. 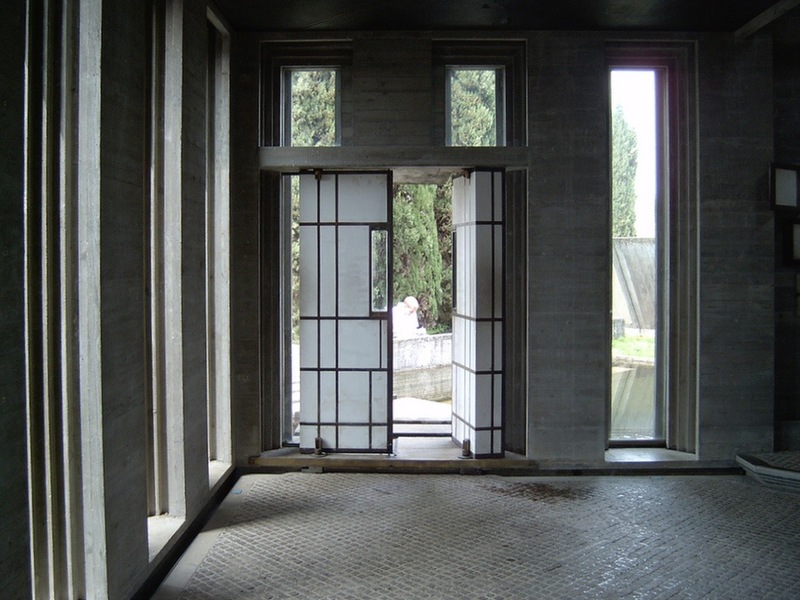 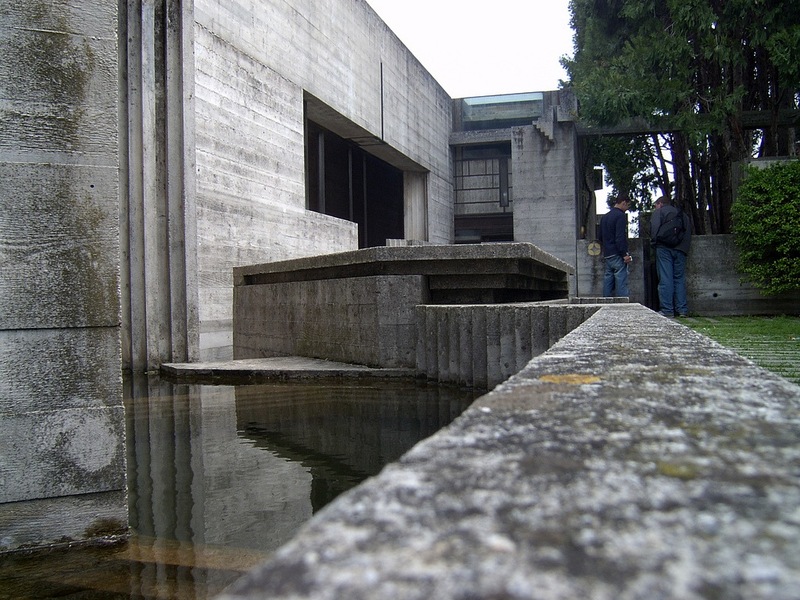 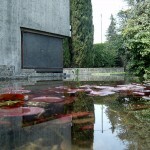 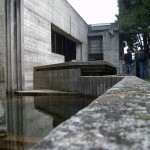 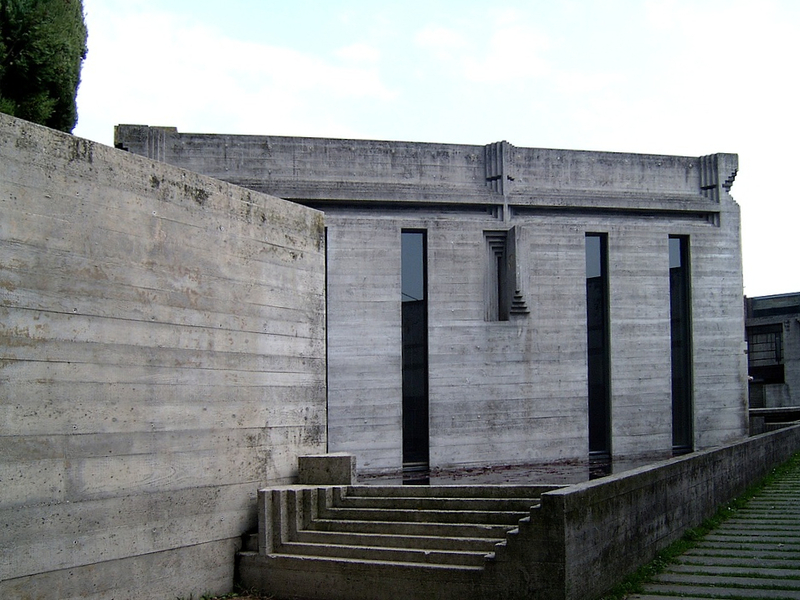 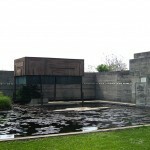 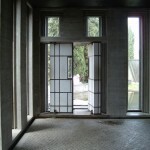 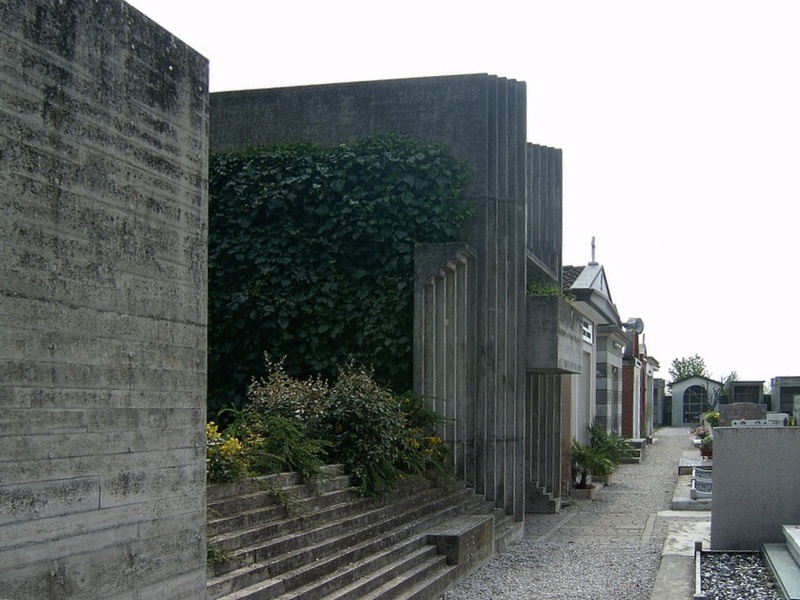 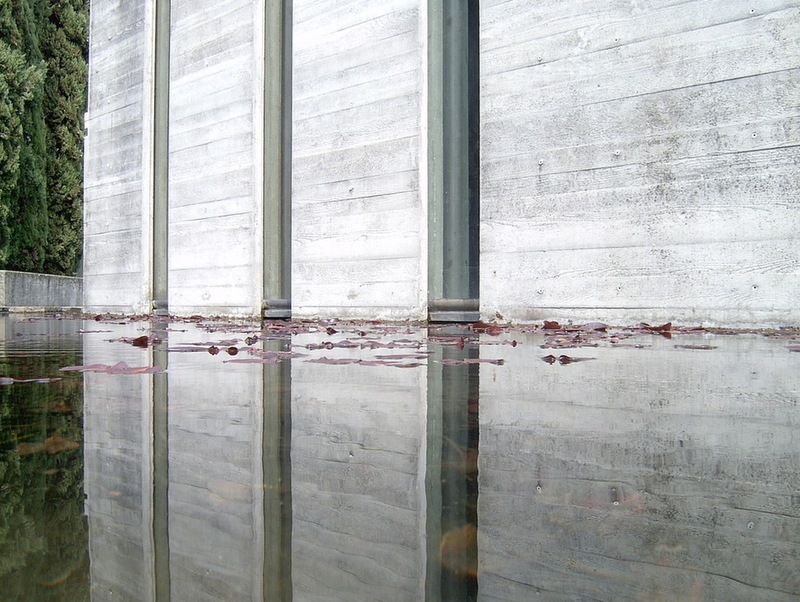 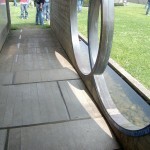 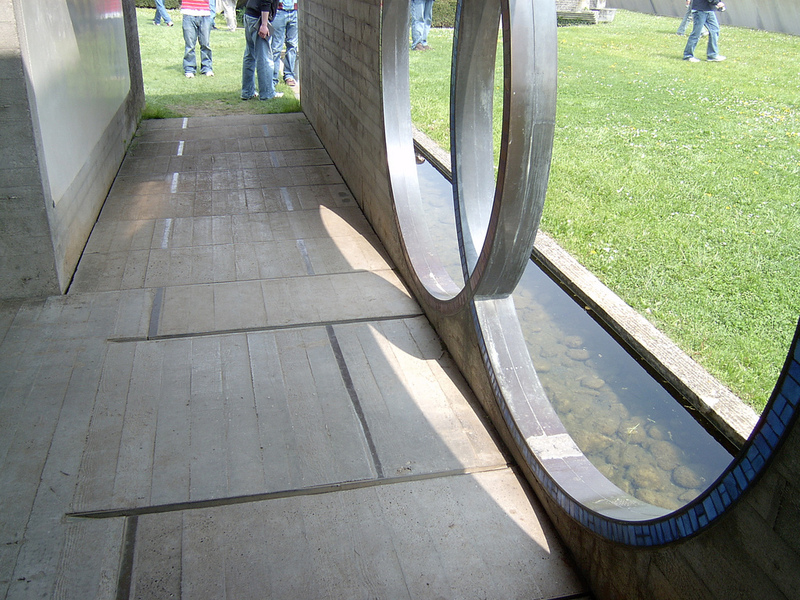 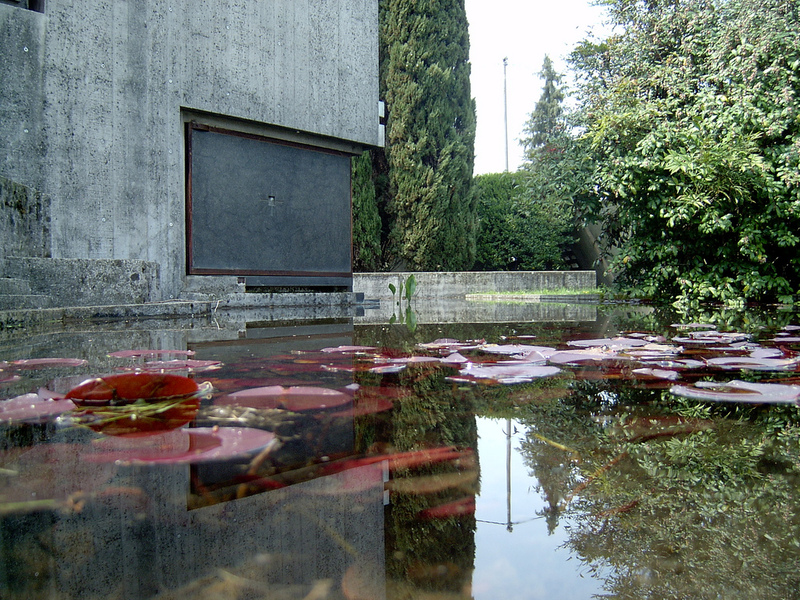 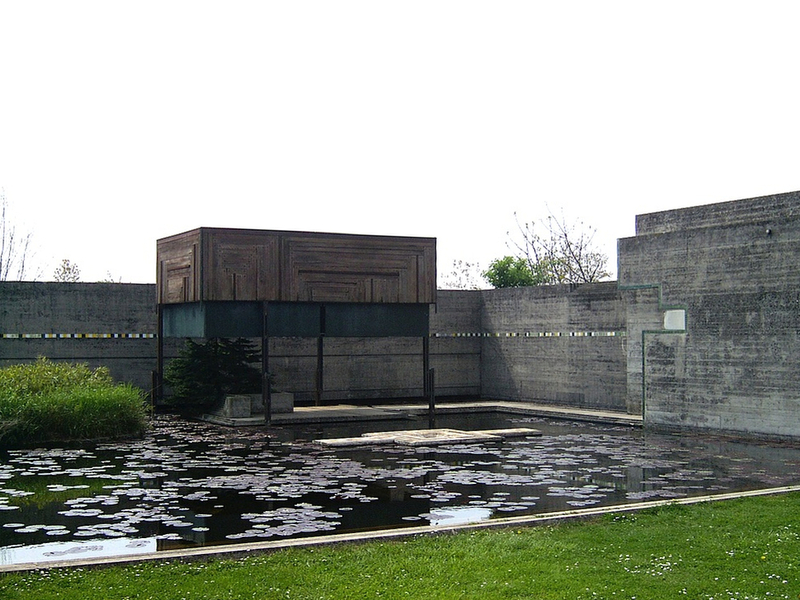 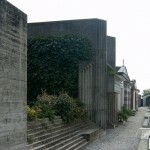 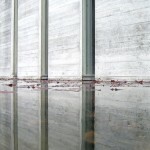 Another example of this form of engagement is Carlo Scarpa’s powerful use of water, for example at the Brion Family Cemetry. 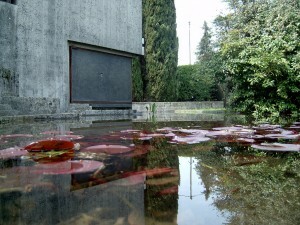 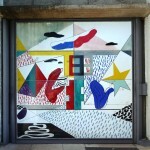 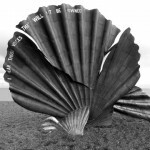 Where a Neo-Classical composition might include a reflecting pool – a pictorial use of water – here the use is more profound, resonant, metaphorical. 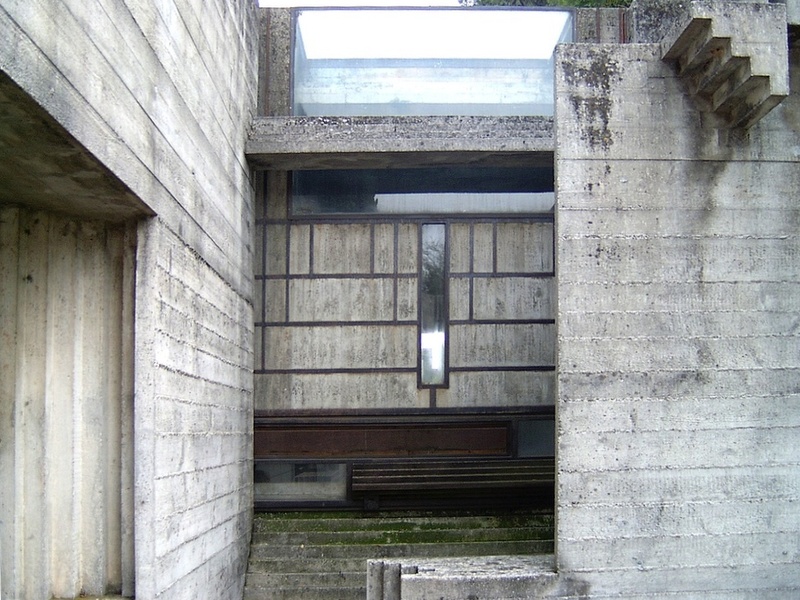 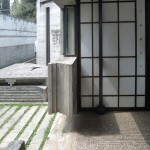 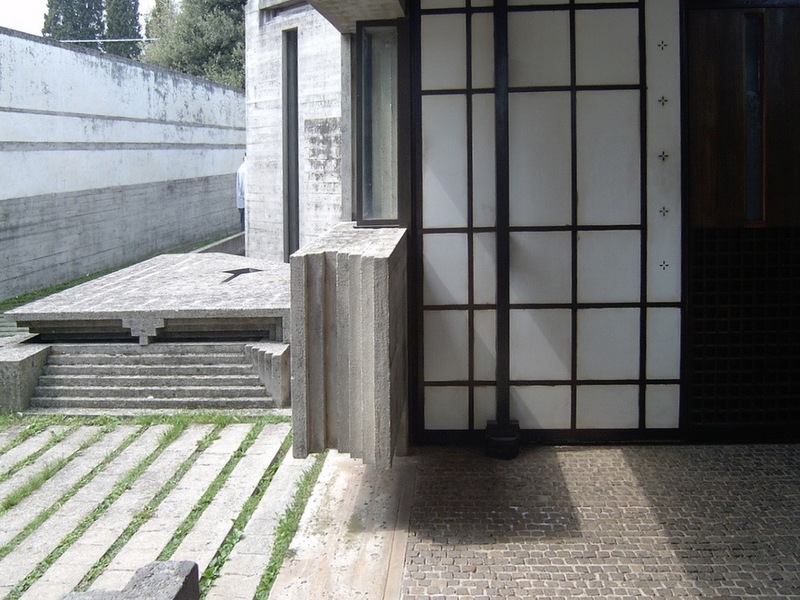 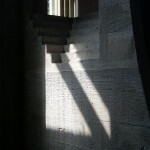 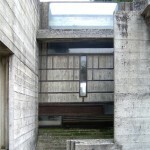 Scarpa often used water to poetic effect, channelling it, sending it through mazes, bridging it etc.